No matter what you love about Utah, your cabin puts you closer to it. 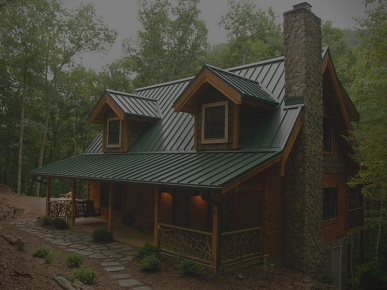 So whether it’s hiking, skiing, fishing, or the Sundance film festival, let’s find a cabin that you’re excited to call home. Whether you’re trying to find property for hunting, camping, or building a small getaway cabin, we have cabin property listings in both northern and southern Utah here. Because of their affordability and simplicity, a log cabin kit could be the perfect option for you. Find out more about their low cost and easy assembly here. With it’s rugged terrain and 4 distinct seasons, Utah is a state of stunning natural beauty. Alpine forests, red rock canyons, soaring mountain peaks, and an impressive array of wildlife combine to create an outdoor lover’s paradise. Hiking, hunting, river-rafting, rock-climbing, skiing, motorsports, fishing–you name it, and Utah excels at it. Your cabin in Utah is the all access pass that gets you closer than everybody else to the menu of outdoor options. It’s your base camp by day, and your banquet hall by night. It’s your backdrop to moments of laughter, solitude, and great memories made with friends and family. We are your concierge. We listen to what you have in mind, and give you tailored recommendations to help you find the perfect cabin. Because we are licensed real estate agents in Utah, we have access to extensive information about available cabin properties. We provide a curated list of cabins for sale in Utah that we feel have especially compelling value. In addition, each year we work personally with several clients, so if you are ready to begin looking at cabins in person, shoot us a quick note, and we will see if we can help. If you are looking for a vacation cabin, Utah has a great selection of cabin rentals to search through (both Southern Utah and Northern). Some of the more popular places to rent a cabin are in Bear Lake, Brianhead, Park City, Duck Creek, Moab, Solitude, St. George, and more. And finally, if you are thinking about building a cabin on your own, check out our advice and recommendations on building with log cabin kits in Utah. Depending on your goals and situation, cabin kits might just be the perfect solution. Many kits offer compelling advantages in cost savings and ease of construction. Cabins are an exciting thing, and we are thrilled to be on the journey with you. We look forward to helping you find your own little piece of Utah.